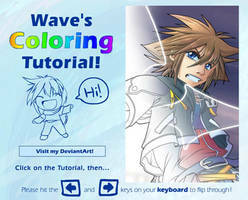 LOOKING FOR MODERATORS FOR A FORUM ON DEVIANTART, PREFERABLY THOSE WITH EXPERIENCE OF THE JOB. THESE LINKS WILL SOON BE MOVED TO A FORUM. People who use these links, please could you take the time to look at and perhaps comment on some of my art just as I have taken the time to put together these links in the first place. It's unbelievable that over 20,000 people have looked at these links, but only 100 of over 20,000 have looked at my DA page. This deviation will soon be moved to a blog on my main website, because each of these links needs to be managed properly. Maybe a forum interface may be better with an organised structure for people to easily browse around. Thank you for your time and consideration to this great cause. Outcaststudios.com - Colouring "The Bean"
An Airbrushing tutorial in portraits for Painter/Photoshop, describing the basic steps with help of a progress record. Written by the beautiful and brilliant Sarah for free and for you all to enjoy. tyvm for all the tutorials. 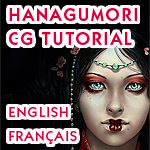 In case you guys want more tutorials. Thanks a million for the myriad of links! Godspeed! Wow.... so mazing of you !! lol, I noticed a lot of the links were broken. Then I saw this was posted like seven years ago and it all made sense. Thanks so much for taking the time to share these helpful links with us! wow thats alot of usefull stuff! Thanks! Thank you! You are very helpful!!! Is their one for how to draw dragons? these links are just what I needed!! thank you!! Whoa thanks for putting so much time into this. These links are bound to come in handy!! Thnks for the links! highly appreciate it!! You are awesome and a lifesaver!! 0+0 thanks for everything on here! Some of these sites ar unavailable though. This is seriously the most helpful list I've ever seen, I can't thank you enough for doing this! quanitity and quality of resources! Excellent collection. You may be interested in adding Polykarbon. An awesome effort you put forth here! Heads up: The "How to Animate" link (Under Digital Art / 3D / Multimedia) is broken. Under the same heading, "Animation Backgrounds" seems to lead to an artist's portfolio that doesn't seem to lead to any sort of tutorial. lol, First off, I have to say, I think this is the first time Ive ever seen a piece that is notable due to its comments, not the piece its self, even though technically the piece is the comments X3. Any who, I can't thank you enough, I can, however, do this; -hands - :3 enjoy~ you deserve it for this, really you saved my life! Awesome! Thanks Some of these might very useful.